If you have followed my blog for a while you know how much I love shooting Sandhill Cranes. They are big, beautiful, romantic and they migrate through NE every year. For the last 3-4 years we have seen cranes in SW Wisconsin. But I have never seen one on a nest until NOW. I was driving down a road on the way to a trout stream and there it was - on a nest - just off the road. I stopped the car and snapped some shots. 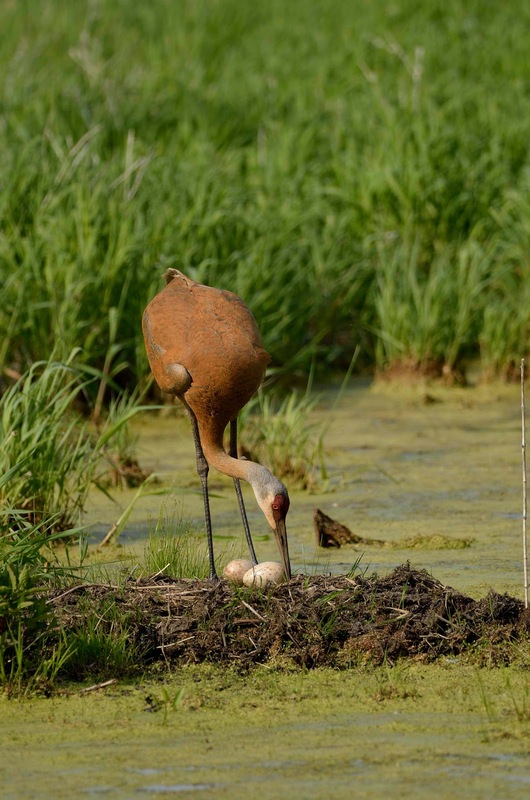 This was a time when the crane stood up - it was just for a few short minutes - but as you can see there were 2 eggs. What a great moment.